Google’s recent announcement warning bloggers to nofollow any links they are compensated for in any way, including when those links are in reviews in exchange for free products, has once again reminded bloggers and site owners that it isn’t that easy to quickly nofollow some links via WordPress. Many WordPress users are stuck going into text view to manually edit the HTML code for the links in order to make these links no follow, which can be a pain, not to mention some site owners would inevitably forget to go back and code a link to make it nofollow. WordPress has never made nofollow links a feature in their CMS. 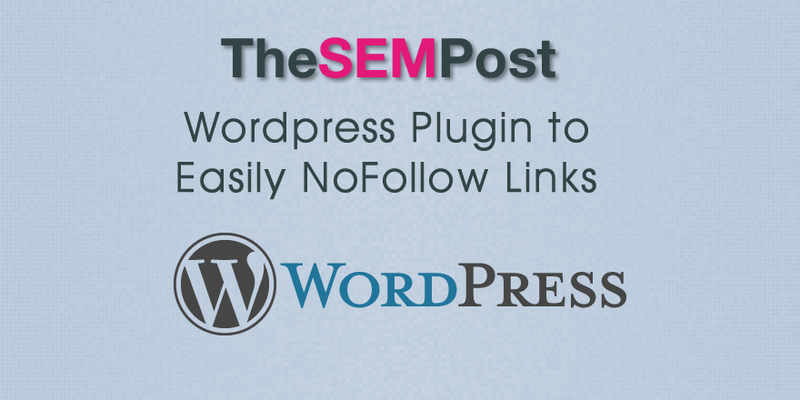 If you are using WordPress and want some of your links followed while having the option to easily nofollow some links, there is a WordPress plugin to do this. The plugin, aptly named Ultimate NoFollow, includes a “make this link nofollow” option when you use the link button within WordPress to add a link the page. And it will also remember you have checked the nofollow box, if you are including multiple links. It does have short code options as well. There are also a couple of plugins listed in the WordPress plugin database that will make all links on a blog nofollow, however they don’t have as many installs for feedback. I love this plugin – simple and saves quite a few clicks. Thanks for writing about it, Jenn.